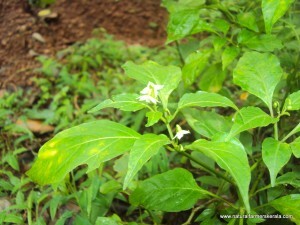 KANTHARI MULAKU (Jeeraka Paranki/Bird’s Eye Chili/Thai Pepper) are some of the common names of this chili. 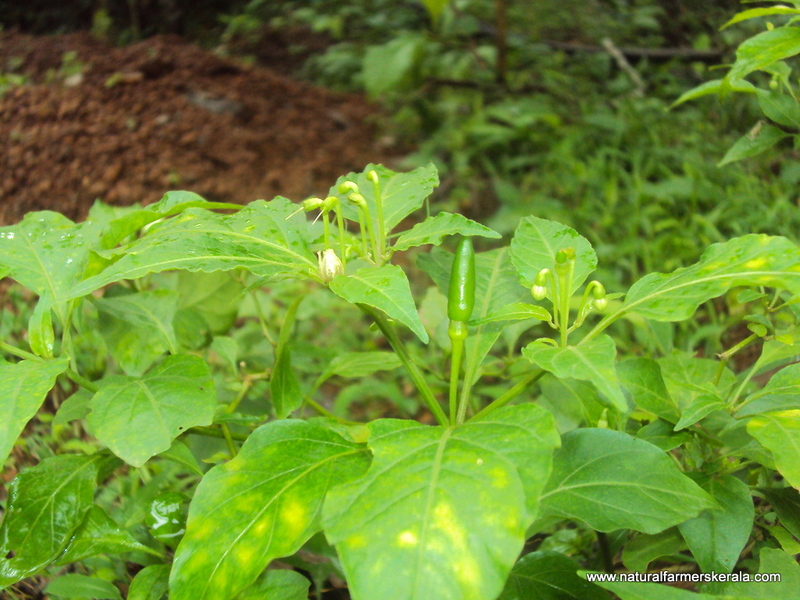 Kanthari mulaku is a chili pepper commonly found in Kerala, Meghalaya and few other Asian countries. Some also call it Mouse/Rat droppings. 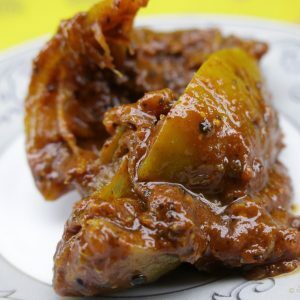 It is know as bird’s eye chili because birds love to pick the ripe chili, Black drongo is one of the main contender for eating bird’s eye chili in Kerala. Chilies are very small in size(not more than 2-3 cm)yet pungent and hot, this chilies will make your eyes water if you eat one. 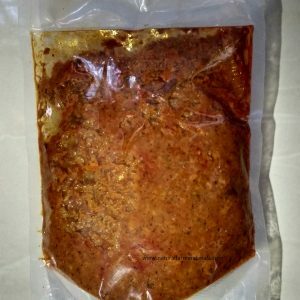 Most kanthari mulaku sold in Kerala market are hybrid ones, It will be larger in size and will be mild in flavor and spice content. Bird’s eye chili flower faces down and chili is upward facing the sky. Bird’s Eye Chili is one among the ten hottest chili peppers in the world. Kanthari is difficult to find in supermarket or other vegetable shop because it is considered some what native fruit in Kerala. All the native varieties are looked down by officials and the whole community. But Kanthari also has a different issue; It is very labor intensive to harvest and production is very low as compared to other chillies. * Kanthari helps in increasing appetite by stimulating the gut and is very effective in controlling flatulence. * It is high in Capsaicin. It is very effective in controlling cholesterol levels. When you eat chilies your body temperature rises. To bring back body to normal temperature it would burn more calories, which will make you lose weight and waste elimination speeds up. 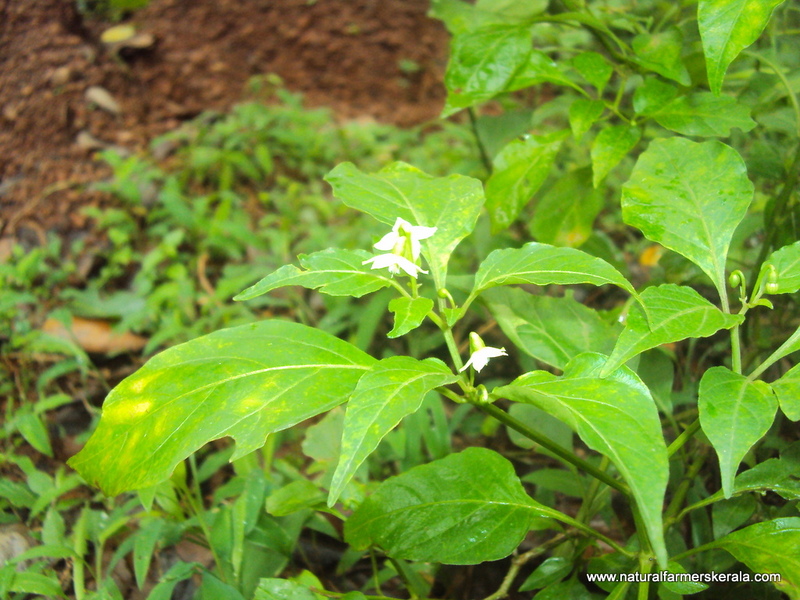 * Indigenous people used this chili to treat bruises and swelling. It makes blood thin ultimately clearing the bruised or damaged area and supplying fresh blood to the affected parts. * Some also claim it makes you extremely alert. * Bird’s eye chili was also traditionally used to ease arthritis pain. 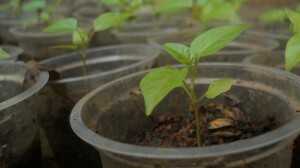 * Chilies can also be used as an insect repellent when crushed with water. However when there is cheaper alternate like cows urine, why use chilies. * I am not sure if this is practiced even today. After delivery of babies; mothers are given a glass of kanthari juice. Smallest kanthari is the best. 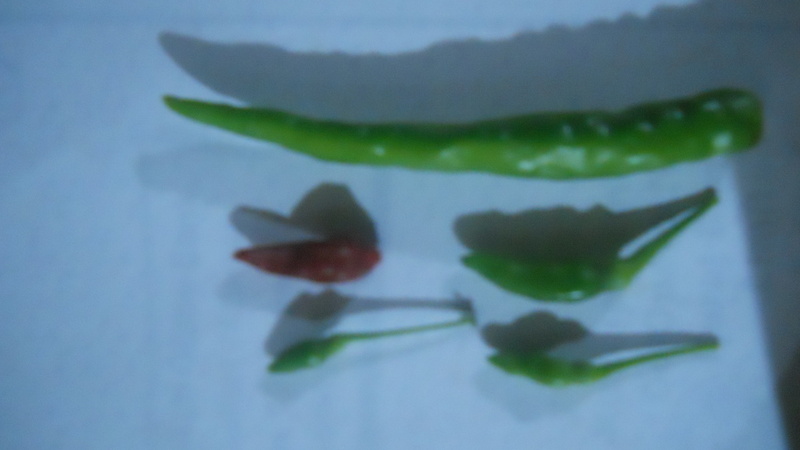 kanthari compared with average chili. 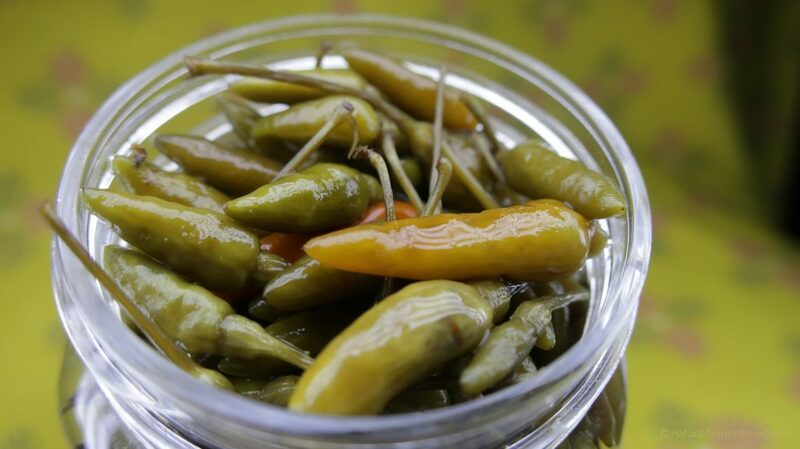 Green or ripe chilies can be used for cooking or can be eaten raw with other dishes. In Kerala christian community(specially farmers) eat them a lot mostly with kappa(cassava) or in the form of thenga chammanthi(coconut chutney). 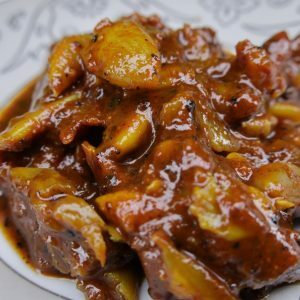 It has a very distinct smell and imparts great flavor to the food. Especially butter milk. This is a perennial plant bearing chilies through out the year if taken care(expect for a few months). Plant reaches a height of 1.5 to 2 meters. They are shade loving plants and need regular supply of water. It with withstand direct sunlight if adequate water is supplied but may not fruit. If you ignore this plant after sowing. During summer months leaves will wither and plant will go into hibernation, provided it is in open ground and not in a flower pot. When it starts to rain this plant will get back in action. This plant lives for 6 to 7 years. However after 3 to 4 years production may drop. It is ideal for inter cropping with coconut and other plantation as kanthari does not need direct sunlight. If the plant gets damaged because of coconut or other tree branches falling on the plant; it will grow back provided the lower portion of the steam is intact. It needs no special fertilizer. Just cow dung slurry every fortnight is more than enough for good production. Chilies can be harvested when matured or after it has ripen it can be sun dried and used for a long time. Flavor and spice content is locked even in dried form. * – Best time to start preparing saplings is by end of March. * – Place the chilies in an envelope or between newspaper and rub it well so that all the seeds are separated from the flesh. Now collect all the seeds in a shallow container and pour some hot water(Not boiling water, but should be considerably hot) Rub the seeds well keeping them in the hot water. (Please wear a gloves or cover your hands with coconut oil to avoid burning sensation in hand, Its becomes unbearable for 2 or 3 days on a stretch if not taken care. Don’t dare to touch the hand on extreme parts of your body. Oil dissolves capsaicin attached to your skin, repeat oil application and wash with soap for several times. This will ease the pain but not immediately cure). * – Seeds that are floating on the water discard them as they are hollow and will not germinate. * – Now repeat the process with some fresh hot water and clean all the outer membrane on the seeds(In nature this process happens inside birds intestine, here we are trying to replicate the same). * – Take the seeds out of water and add some ash from burned leaves(Mango leaf ash is ideal) into the seeds mix well and let it dry overnight. 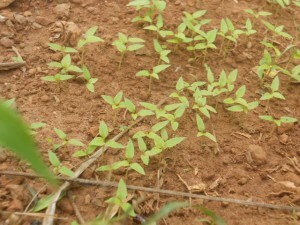 * – Seeds are ready to be planted in sowing beds or planting location. (Above mentioned process has more than 90 percent germination of seeds. However not all sapling may establish them self and fruit well). * – Once the sapling start emerging. They will have two parallel leaves at the crown(This leaves have to naturally fall off after few weeks, take care.) and in coming few days you will see third leaf emerging. It’s time to transplant to bags or to the new planting location. Birds eye chillies are perennial crop in Kerala which can be cultivated or naturally germinated by bird dropping. However in some parts of the world farmers grow it as a annual crop. In Kerala the trend has not caught up because of land availability, labor shortage, seed availability and large scale cloning of kanthari chili plant, like tissue culture bananas. Harvesting kanthari chillies is a time consuming process and you need to be very careful while harvesting because new flowers will be almost ready at the same node. So while plucking the mature chili new flowers get damaged and most of the times it will come along with the harvested chili. * Aphids are very common pest that attack birds eye chilies. I use a little neem oil(margosa plant oil) and Zebu cattle urine and spray on to the plant. This is very effective. * Another disease is curling of leaf. leaves that have already curled cannot be cured as per my experience. I use the same above mentioned cows urine and neem oil. Also crop the effect leaves from the plant. It will grow back new leaves pretty soon. You may also try spraying thick rice water obtained after boiling rice. This is also effective in controlling the damage. * Grasshoppers are big problem during the onset of monsoon. They damage lot of leaves in a day or two. New leafs grow back but plants growth cycle gets affected. Yet to find a effective solution. Do drop a comment or mail if you know how to control grasshoppers(please no chemicals). i applaud your efforts ! something that i dream of doing… will keep in touch. Thank you. Wish your dream becomes reality soon. I am trying to interplant a little area with kandhari, your blog has been very helpful. Is there a good market for this chilly throughout the year? 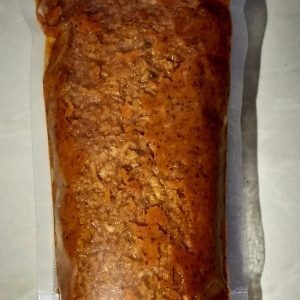 Are there buyers for this product if grown in a larger areas? I would also like to know the ratio of mixing cow urine and neemoil for the aphids attack. Yes there is good market for Kanthari but mostly in bigger towns. like Kannur, Calicut etc. Producing in bulk can be a risk. Most small vendors will not accept in bulk. Brands like Nirapara buy in bulk. well there is no fixed amount. I take approx 1liter of urine add 1/4 water and say 50 to 100 ml neem oil, mix well. thanks for the information..I would like to plant this and where can I get good Birds eye chili saplings..
Did you manage to get seeds? where did I get kanthari seeds. I want to visit a kanthari farm. Is there any kanthari farmers in kozhikode district? Pls answer. I am unaware of any Kanthari farms. harvesting is very labor intensive and time consuming. Don’t think it easy to cash on Kanthari because cheaper ones come from mysore side. So kerala will not always offer you better price. beware.. Check around your place, pluck ripe chilies. Wow , great advice n effective instructions indeed. Thank you. So excited to harvest my bird eye chillies. Thanks for putting up this information so well. I have a couple of these plants in my farm, and wanted to grow more. but could not succeed as i was trying to grow from seed directly. Now i will try the hot water treatment for the seeds and see. You have mentioned using fully ripe chillies. Can i use the seeds from dried chillies as well? yes you can, not olden than a year is advisable. Is this khandaari chilli of kerala and North east birds eye chilli one and the same or it is different? Very helpful. I followed every aspect of the information supplied on your website. Everything made sense and is still making sense. My plants ( in pots ) are now ready to be harvested. Thanks from Sadick in Cape Town, South Africa. I have a question. Why does a kanthari mulaku become smaller as it ripens? yes to a extend. very little not noticeable easily. Greetings and nice work in nature. Read your article on growing and care for Kanthari Chilies. Very informative as i have got kanthari chili plant growing in pots in my balcony. 1 kg MATHI (CHAALA) FISH + 1 KG. CHAKKARA (SARKARA) MIX TOGETHER AND KEEP IN A POT FOR 30 DAYS. AFTER 30 DAYS TAKE OUT THE JUICE. MIX THE JUICE 5 ML. IN 10 LTR. WATER AND SPRINKLE ON THE PLANT. THIS IS VERY EFFECTIVE FOR GRASSHOPPER/INSECT ATTACK ON ANY PLANTS OR CULTIVATIONS. Can the plant be pruned / trimmed of our gets too big? I am cultivating in a pot. I am going to plant kanthari in Haryana. I got some red turned chillies from kerala. Apart from above mentioned peocedure, Is there anything I need to take care about? your article on kantharimulaku is very informative. Can you please advise me from your experience, what will be the expected yield from a grown up kanthari in a monnth. I am presently in Gujarat and my home happens to be in Kannur(Kerala). I have a 1.5 acre land and i used to see kaanthaari plants scattered in my plot( 5 to 6) of them unlike the green chilli plants which dont last more than a season . This year in September i decided to try germinating them as i always used to hear from my dad when he was alive (He was a retired teacher and used to cultivate all sorts of vegetables after starting his retired life until 2014 when he passed away) that they cant be grown and germinate from bird droppings only. I selected the biggest ones from the ones i plucked from the plant (the reddish fully matured ones), pressed it between my fingers after putting it in a mug half filled with water(cold water). I got the white seeds and put them in 6 flower pots. Watered them so that the humus is moist and found that all the seeds had germinated. After 26 days, when my leave was ending, i transferred them into more flower pots so that there are only 4 plants in one flower pot. The plants have grown properly and i am just waiting eagerly to go home again to transfer them on a properly tilled area in my plot. 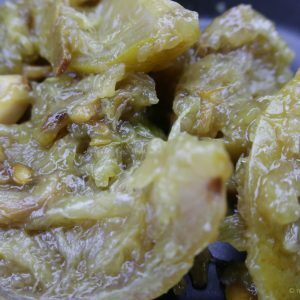 Kaanthaari is an astounding plant and has many medicinal properties.My mom and aunt used to include it in the Fish curry and Coconut chammanthi (it is a paste made from grated coconut, salt, chilly or kaanthaari, tamarind onion etc. In the last couple of years i have seen its demand increase phenomenally in the local market in Kannur. It was costing as much as Rs 1000/Kg in Bangalore in 2014. I dont know the current cost there as i shifted to Gujarat in early 2015. I am not planning to grow it on a commercial scale though i have the land required but if anyone in Kannur or adjoining areas need its seeds,(If there is Kaanthaari on the plant) i will definitely send it over to the address.This plant is indigenous and protecting the indigenous varieties of flora and fauna is our responsibility. Many chemical constituents found in Indian plant species were extracted by western laboratories and patented even without our knowledge. By the time the Indian Govt appealed, it was either too late or they failed in effectively stop it from being patented.Even if you have a small stretch of land, do try to cultivate your own vegetables no matter what the produce you get. Pesticide laden fruits and vegetables are flooding the market and are very dangerous for health. The taste of home grown fruits and vegetables are entirely different from the ones you get in the market.Half and hour of care for plants in the morning and evenings can create wonders and it is a good exercise too. The happiness of producing something on your land is unexplainable. Give it a try and lead a healthy life. Jai Hind. If the requirement is small for home use. Else share me your contact number to contact you regarding the same. Here in Abu dhabi, after several years try, recently I could get kanthari plants grow, flowered and 3-4 fruits had come up. Pls advice how can we increase the produce. I heard old kanjivellam (boiled rice water kept for 2-3 days) can give more flowers, is it true, or is there any other way? yes that’s correct. however it loves loose soft humus rich soil. Cow dung is best if you can get hold of. also you can add little bone meal. you will get more produce and fruits also will set well. Now I see more leaves are curling.. Very good information and comments. I wish to add my opinion here. Those who go for kaanthaari cultivation please don’t run for exotic hybrid varieties. The biggest threat to our farmers and future generation is these hybrid varieties. They may give a good yield, but no one knows whether its quality is as good as our traditionally grown native crops. Within a few years, these plants will pollinate with our native varieties, and we are going to lose that pungent exotic taste in near future. Not only chilli, wherever we turnaround, all the nurseries are offering hybrid varieties of coconut, plantain, all varieties of fruits, spices, and so on. In the near future, sure , we are going to face the consequences. The best example is where are our native cows whose yield was only 2 to 3 liters per day? Today all are searching for our native cow’s cowdung, which is much superior in quality than the cow dung of hybrid varieties like jersey and Holstein cows. No words for the quality of milk of our native cows..! As a consequence we are ready to pay more money to buy this variety, if it is rarely available anywhere. In the near future all our cultivating plants also will be contaminated like this. Government should put a ban on the uncontrolled sale of hybrid animals and plants with immediate effect and should save our native varieties for the future generations. This is my humble request. Thank you for posting such a wonderful and constructive comment. You are exactly right we are heading for a disastrous future. Everything is getting contaminated. Everyone wants to make quick money. Cheap and unhealthy plants and seeds are offered everywhere. Looks like the way we are heading nothing is gone change until some major catastrophe happens. I am interested in planting Kanthari plants in our estate where we have pepper,arecanut and a little coffee.Who has original seeds?Please let me know with the price. Has anyone tried to grow bird eye chilies in colder climates? I live in the US and have some seeds, but would like some tips before I start. As far as i know chilies don’t like cooler climate. There are ways you can provide artificial environment. Happened to come across this very informative blog of Anoop. It is well written with good participation form kanthari enthusiasts. I am growing it in my balcony garden. The plants are now about 2 to 2 and a half meter. How much time does it take to flower?